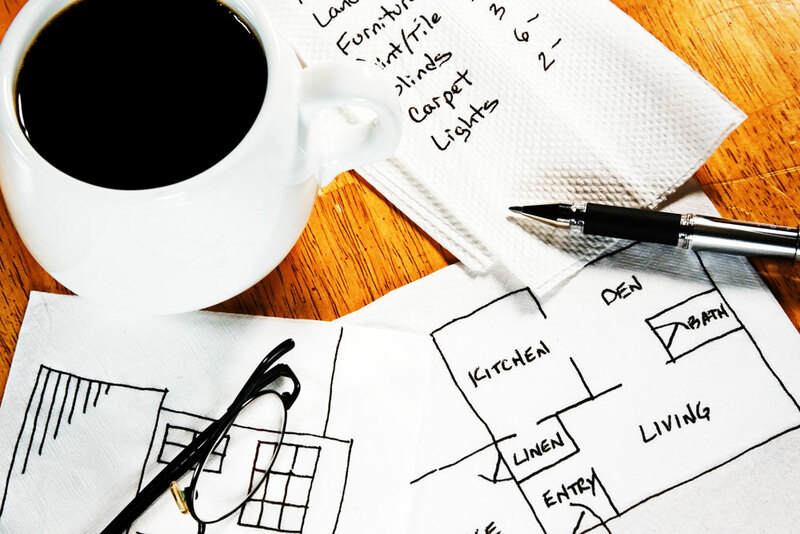 Whether you have decided to design your own house or make an addition to your existing property, there are a few basic steps to follow. Research about your local zoning codes. Study your house needs and spaces. Location of the lot. If it is between existing buildings or corner lot. How steep is the grading. Location of trees and shrubs. How noisy is the area and where the sounds come from. Where the sun rise and set. Best and not so good views from the site. Required setbacks distances. 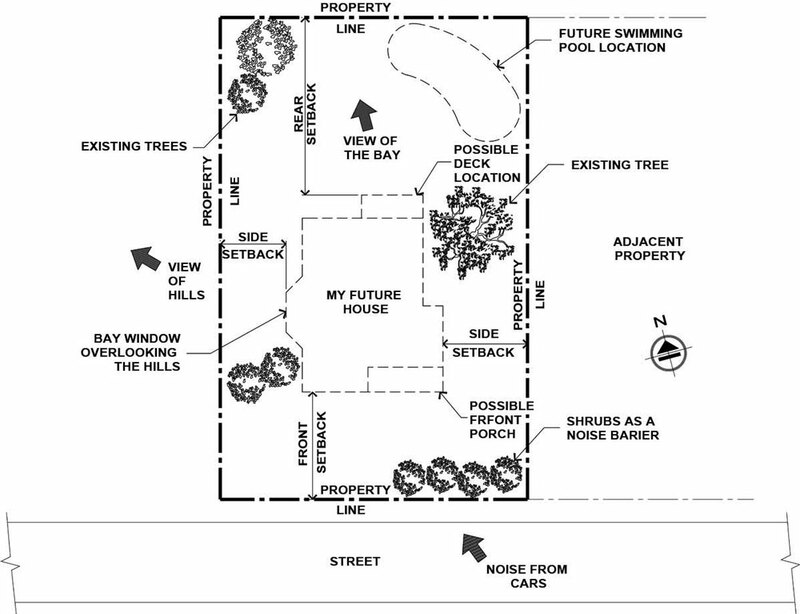 Setbacks refer to how far from the street, side and rear from your property line, you are allowed to build your house. How much is your allowed lot coverage. This means how much percentage of your lot land you are allowed to cover to build your house. What is the maximum height allowed. Any restrictions on the architectural style of the future house. Some cities want to preserve the same architectural style in the neighborhood where your house is going to be build. After that, create a list of your needs for each household member and their specific requirements. After having a more clear idea of your future house, you can discuss with an architect or designer and let them know all your needs and requirements. They will help you with the final design and will create all the documentation required for the final submittal to your local city to finally obtain the required permits. Usually the plans need the signature and wet stamp of a licensed architect and structural engineer, but in some cases, when the project is very simple and standard, they can be submitted with no signatures or stamps. Architectural Plans. This include site plan, existing and new floor plans, sections and elevations. Structural Plans. This include foundation plan, framing plans and structural details. Structural Calculations. These calculations have to be prepared by a licensed structural engineer. 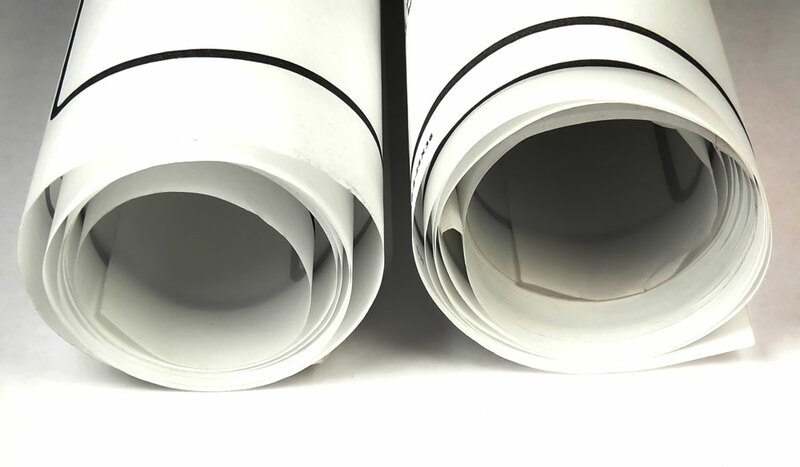 Electrical and Plumbing Plans. Some cities require schematic plumbing and electrical plans. Energy Report. This report addresses the energy efficiency of the house.